The Food and Agricultural Organization recently issued a report confirming a 1.4 percent decline in the FAO Food Price Index, from August to September. The index is now 7 percent below the September 2017 level. This is due in part to a 2.8 percent decline in the cereal price component following the large U.S. harvest coupled with shipments of wheat from the Russian Federation. The Vegetable-oil price index has declined for eight months in a row and is now 2.3 percent below September. The dairy price index declined by 2.4 percent together with a decrease in the Meat-price index. The FAO noted that drought in Australia and Canada will lower wheat yields but offset by product from the Russian Federation. 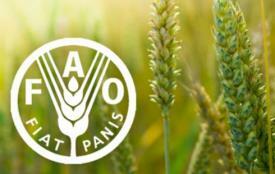 Concurrently rice output will increase by 1.3 percent due to higher planting and yields in Asia. The effect of increased supply relative to demand will result in increased ending stocks of many commodities.